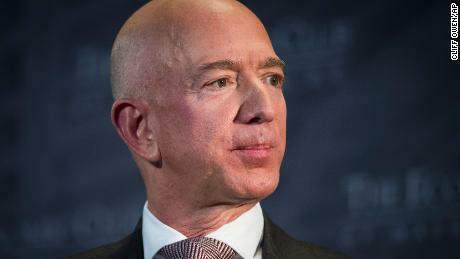 In his blog post last week, in which he accused American Media (AMI for short) of extorting him, Amazon boss Jeff Bezos referred to a "Saudi position" in which the company was involved as if it were the journalist and prosecutors Breadcrumbs would leave consequences. Prosecutors are now investigating whether AMI may have violated an immunity treaty she met with Bezos last year. On Monday, the Wall Street Journal reported that last year AMI sent a letter to the Department of Justice requesting an opinion on whether it needed to be registered under the Foreign Agents Registration Act. According to reports, AMI asked the law last year following the publication of the promotional magazine on Saudi Arabia and Salman. The ad-free magazine was sold on newsstands. His astounding portrayal of Saudi Arabia as a "magical kingdom" was referred to by some observers as propaganda. It's "Exhibit A in the case of AMI's strange, elusive, unexplained interactions with Saudi Arabia," said Spencer Ackerman of The Daily Beast, who reported on the magazine's existence last weekend on CNN. AMI representatives created the magazine with a skilful business suit The Crown Prince's much-discussed trip to the US last March because "his readers would have a heightened interest in" Saudi Arabia. Pecker's lawyer Elkan Abramowitz said on Sunday in an ABC interview that AMI is actually seeking funding from the Saudis. But he said the company had "never received anything." 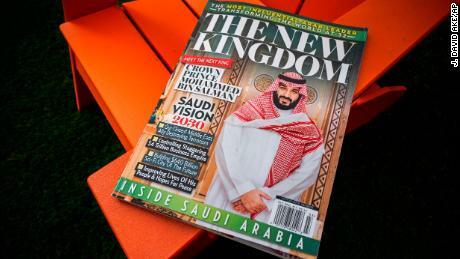 The Journal reported Monday that AMI had written to the Ministry of Justice "after several news agencies wrote about the publication of the Saudi Arabian magazine." A partially revised version of In the Ministry of Justice's response, in which the media company that wrote it is not mentioned, states that the government has concluded that the company in question did not have a registration obligation between There was no business relationship with the company and Saudis. American Media has no editorial or financial relationship with Saudi Arabia, nor have we ever had any connection, "a company spokesman told CNN Business in response to questions from Monday. le After writing to AMI, the company pointed out that the company was not completely transparent about how the magazine came about. Last year, when NBC News asked AMI if the project, a spokesman who worked with Saudis, said, "Absolutely not." But the letter to the Department of Justice states that someone in the company was seeking "comments" from a Saudi government advisor in the letter. According to the magazine, AMI followed these comments and made changes based on them. The DOJ's letter of reply indicated that the company had stated that it was "not obliged to follow any suggestions of the consultant". The facts regarding activities undertaken "by the Company" in this matter are in some way different from those set forth in your submission. Please notify this department "because registration status may change." Given the deception data from AMI, there are outst and questions about the creation of the magazine. "We have demanded foreign media from Russia, China, Japan and South Korea Otherwise, Americans can not know that what they digest is actually content or propaganda that influences or even affects a foreign government "If you do not register as a foreign agent, a foreign government can actually wage an information war against Americans because they can blindly influence Americans without them knowing it."